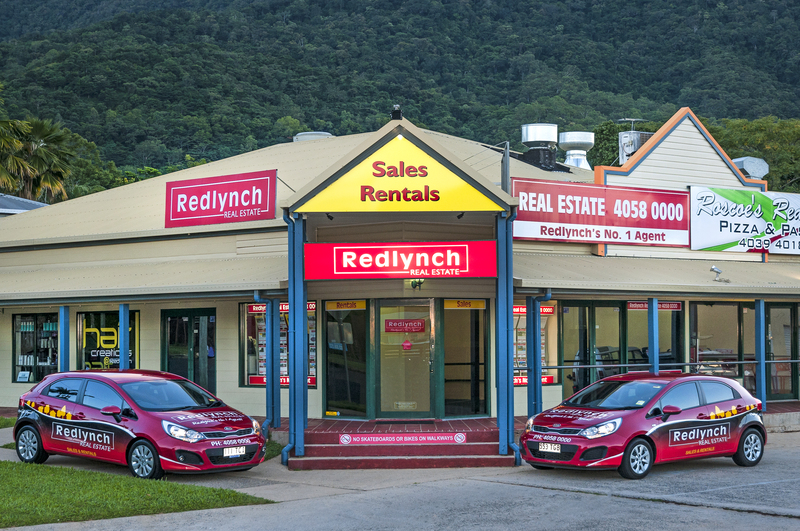 Redlynch Real Estate was the very first real estate agency established in the Redlynch area in July 2001. Our office is at Redlynch Shopping Village opposite the iconic Red Beret Hotel. We service our immediate area and the nearby suburbs of Lake Placid, Kamerunga, Freshwater, Caravonica, Stratford, Brinsmead, Aeroglen and the Northern Beaches, plus all other areas of Cairns. The Principal Licensee, David Jeffries, has sold more properties in the Redlynch district than any other agent in Cairns. David has two assistants. Sheree Bennett is his Buyer Manager and is a Registered Salesperson. Lisa Grosskopf is his Client Manager and a Registered Salesperson. Our Property Management department is led by Amanda Munro - Winner of REIQ Property Manager of the Year. Redlynch Real Estate is the 2017 winner of Rate My Agent - Agency of the Year Redlynch. David Jeffries is the 2017 & 2018 winner of Rate My Agent - Agent of the Year Redlynch. Redlynch Real Estate is proud to be a Major Sponsor of Redlynch Razorbacks Junior Rugby League Club and sponsor of Cairns City Lions Australian Football Club.